If you want to see how much media factors into the lives of millennials, look no further than the latest Brand Intimacy Report. This year, 93-year-old Disney tops the list and rounding out the top five were media brands Amazon, Netflix, Apple and Nintendo. Disney resonates with this age group because they grew up with the brand and it has kept up with their changing interests - it now includes popular franchises like Star Wars and Marvel. Ariana Grande isn’t the only millennial with a crush on Mickey. Companies often under-value the power of a brand name. While they look at some brand names and say “Wow,” they don’t necessarily understand or appreciate the investment of time, strategic thinking, and creativity necessary to create these brand names. Every year hundreds of brand name projects are delegated to junior employees. But, when naming is driven by leadership, the results are exponentially higher because the CEO has the necessary oversight to see how and where to direct the product, service, or company. 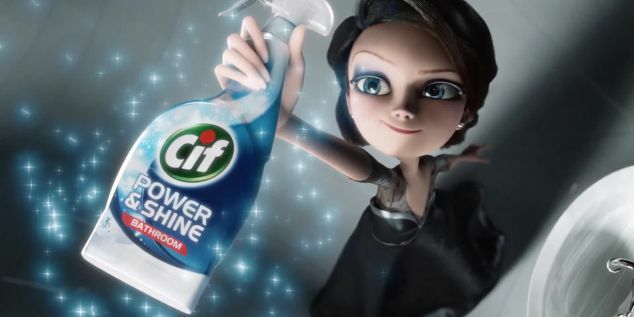 This week, Unilever has committed to stop stereotyping women in its ads, promising that it will “advance portrayals of gender” across more than 400 of its brands – which include Knorr, Dove, Cif and Surf. The brand publicly explained that it would address the three key areas where females are typically misrepresented: role, personality and appearance. In order to build engagement and loyalty in a climate of intense competition and distraction, marketers have to understand their customers, viewers, and readers as fans. Fans have a continued connection with the property they are passionate about. The key to building this level of engagement is understanding the different types of fan motivations in different contexts, and learning how to turn the data gathered about them into actionable insights. It isn't easy but it's worth it. MarketingSherpa commissioned an online survey that asked U.S. consumers: "In which of the following ways, if any, do you learn about new products you would like to purchase? Please select all that apply." In-store browsing and word-of-mouth led the list. A good read on engaging an audience holistically, not by channel. The Opal Nugget Ice Maker machine had all the usual hallmarks of a crowdfunded hit. Engineers from FirstBuild, the project’s creator, posted videos of their design prototype, filmed inside a tool-strewn workshop, and talked openly about the remaining technical challenges before their machine would be ready for delivery in mid-2016. It looked like a typical invention dreamed up by a scrappy team seeking cash for manufacturing — except that FirstBuild is a subsidiary of General Electric. An amazing story of a brand that took care of its user base while it folded. Rdio, the small but beloved music streaming, posted a touching goodbye message to its users on Tuesday—along with an option to export their listening data and playlists for later use on another service. This week we watched the drama unfold as Starbucks unveiled their holiday cups and accusations followed that they company is anti-Christmas. But what this debate really proves is that Starbucks has successfully interwoven its brand in the very fabric of our culture, so much so that people have an emotional reaction to their cups. High-fives in the Starbucks boardroom. An exhibition examining the complex relationship between people and brands called “Like me: Our bond with Brands” was displayed in the London Design Festival last month. It is intended to spark a conversation on the influence brands have in our daily lives and how the role that consumers play is becoming more significant in brand building. See Michael Murphy’s beautiful branded creations. J.K. Rowling isn't afraid to play a little dirty, getting fans to tweet support for her Scottish rugby team in exchange for some "Harry Potter" intel. She told her followers, if they shared support for her Scottish team via social media, she'd reward them by revealing the birthday of Harry's godfather, Sirius Black. Fans responded in force and since fans did their part, and her team did its part, Rowling shared Sirius' birthday on Twitter. Find out when is Black’s birthday (hint: it’s coming up).